Emil Berthelsen is a Principal Analyst at Machina Research, leading the Enterprise IoT stream, and focuses on Big Data, data analytics, M2M and IoT Platforms and SLAs. Prior to joining Machina Research, Emil worked at Analysys Mason, KPMG Consulting, BT Consulting, and Alexander Proudfoot plc, building more than two decades of experience in management, strategic and research consulting. 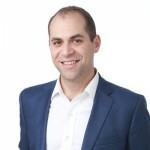 From a consulting background, Emil has concentrated on and delivered projects in the Technology, Media and Telecommunications (TMT) industry, and in the past six years, focused on emerging technology and business areas such as mobile enterprise applications, mobile payments, APIs, developer communities, and M2M and IoT. This has led to a significant number of research and consulting projects, advising global clients on new M2M and IoT product, service and market opportunities, identifying channels and strategic partnerships, and providing market sizing, competitor intelligence and insights around these emerging market and technology trends. Emil has chaired, presented and led panel discussions at M2M, IoT and Big Data conferences in Europe, Asia, Africa and the US, and contributes regularly to articles on these topics in industry journals, online news portals and blog services. 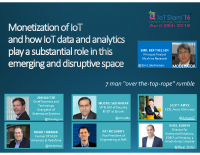 More recently, Emil has started to research and speak on the changes from M2M to IoT, and the impact this has on data analytics, platforms and SLAs for enterprises. Emil holds an MPhil in International Relations from Cambridge University. Pat McGarry is an edge computing pioneer and expert in heterogeneous computing technologies moving beyond von Neumann models. He leads the team that architected the world’s first small form-factor product to deliver ultra high performance and efficient IoT data search and analytics at the edge. He brings extensive technology and leadership experience in hardware and software engineering to his role as Vice President of Engineering at Ryft. He joins Ryft from Ixia Communications, where he was responsible for the company’s Federal security systems engineering programs. During his tenure at Ixia and BreakingPoint Systems, Pat spent several years working in the cyber security industry within the DoD and the Intelligence communities conducting experimentation and analysis of cyber-related performance and security concerns on arbitrary network infrastructures. Prior to BreakingPoint, Pat held key roles in product and engineering management in the realm of embedded systems design, network systems analysis and design, and cyber security. Muddu Sudhakar is currently VP & GM Security & IOT, Splunk (www.splunk.com ). Before that Muddu was CEO of Caspida (www.caspida.com) and Caspida is leader in next-generation Cyber Security & Threat detection. Muddu Sudhakar is a seasoned and successful entrepreneur in the Silicon Valley. Muddu was VP & GM at VMware (www.vmware.com) and Pivotal (www.pivotal.io ) from 2012 to 2014 for Big Data Analytics and Cloud Services. At VMware & Pivotal Muddu had responsibility for wide range of projects Big Data Analytics, Cloud Services, Mobile Security. Muddu was co-founder and CEO of Cetas (www.cetas.net) which was acquired by VMware in 2012. At EMC (www.emc.com) Muddu was Chief Strategy Advisor, VP & GM for Cloud Information Services. Muddu work involved Cloud Infrastructure and Cloud Information Services at EMC. Muddu was CEO & Founder of Kazeon from 2003 to 2010 (www.kazeon.com) which was acquired by EMC(www.emc.com ) and Kazeon was leader in Enterprise Information Management, Information Security, eDiscovery, and Enterprise Search markets. 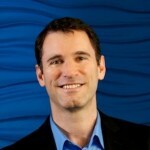 Before Kazeon in 2003, he was Co-founder & President of Sanera Systems, a next-generation SAN technology company. Sanera was started in 1999 and was acquired by McData (Brocade) in 2003. From 1996 to 2000, Sudhakar was lead architect and designer of CPU and server technology at Silicon Graphics, Inc. Sudhakar holds a PhD and MS in Computer Science from University of California, Los Angeles and a BS in Electronics & Communications Engineering from Indian Institute of Technology, Madras. 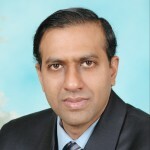 He is widely published in industry journals and conference proceedings and has more than 25 patents in Cyber Security, Big data analytics, Machine learning, Analytics, Data science, Cloud Services, Enterprise Search, Information Management, Distributed systems, Storage/Server technologies, Virtualization, Information security, Networking technology and VLSI chip design. 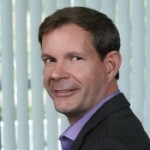 Mark has over 25 years of experience in executive, business development, and sales roles gathered in a broad range of telephony, infrastructure, networking, and computer companies. Most recently at Vodafone, the world’s leading mobile operator, Mark worked on key partnerships with channels, operators, and emerging M2M solution providers. These partnerships focused on M2M and connecting things. At fleet/telematics platform provider Illume Software as VP BusDev, he evangelized mobile safety issues with telcos, software providers, government and trade groups, and corporations. Previously, Mark was the founder/CEO of AirPrint Networks, an early-stage secure connected printer/document management platform provider. Mark’s prior positions include executive roles in business and market development at Pingtel Corp (acquired by Nortel)., GTE Internetworking (now Verizon), VideoServer, VTEL, PictureTel (now Polycom). Mark is the board chairman (emeritus) for AccesSportAmerica, a national non-profit that adapts and teaches high-challenge sports to children and adults with disabilities (www.accessportamerica.org). Mark studied piano performance at Michigan State University and the Berklee College of Music. Mark is active with the MIT Enterprise Forum and is a frequent guest lecturer at MIT and Tufts University along with many conferences and events including IOT Slam, IoT Evolution, GoMobile, Body Computing (USC) and others. Mark has finished 12 slow Boston Marathons and is a married father of four kids. Boards: ROTU Media & Entertainment, AccesSportAmerica, MIT Enterprise Forum/Tech Entrepreneurship Group.